Hello and welcome to the first blog written jointly by Kath Meely from the GCP Inspectorate and Lisa Campbell from the Clinical Trials Unit (CTU) about risk adaption in clinical trials of Investigational Medicinal Products (CTIMPs). By way of introduction, my name is Kath Meely and I have been with the MHRA as a GCP Inspector for 12 years now. I’ve worked closely with the MHRA CTU and externally with the European Medicines Agency (EMA), being part of the team who drafted the EMA guideline ‘Risk proportionate approaches in clinical trials’. And my name is Lisa Campbell and I have been working as a Medical Assessor in the CTU at the MHRA for the past 4 years. The types of clinical trials I assess are varied ranging from Phase 4 clinical trials of medicinal products with Marketing Authorisations to First in Man clinical trials of Advanced Therapy Medical products. I am a named assessor for the assessment of Notification Scheme clinical trial applications (CTAs). The assessment of risk to trial participants is paramount to conducting safe trials and producing meaningful outcomes. We at the MHRA are actively promoting a risk proportionate approach to CTIMPs; but firstly, we would like to provide some background to the concept of risk proportionate approaches from a global perspective. Back in 2011, the MHRA was taking the lead by publishing in conjunction with the Department of Health (DH) and the Medical Research Council (MRC) a document about risk adapted approaches to the management of CTIMPs, allowing for the adaption of methods while still maintaining applicable standards. It also details the risks to participant safety in relation to the IMP and all other risks related to trial design and methods. The MRC/DH/MHRA joint project introduced the concept of the risk categorisation for Type A trials (testing authorised medicinal products in accordance with the marketing authorisation in a EU member state), Type B (testing authorised medicinal products according to treatment regimens outside the marketing authorisation) and Type C (testing non-authorised medicinal products). Further guidance has been developed by groups such as the Organisation for Economic co-operation and Development (OECD), the European Medicines Agency (EMA), the US Food and Drugs Administration (FDA) and the TransCelerate group. All these groups have recognised the need for a risk based approach to clinical trials and the need to give guidance and build on the experience of stakeholders with the publication of various papers. Promotion of a risk proportionate approach – Why Risk Adapt? You may be asking why you should apply this approach and what’s in for you. We want to encourage research within the UK and recognise that some trials which are low interventional and low risk could easily be adapted. We have seen that a ‘one size fits all’ approach has been taken, in order to comply with GCP. However not all trials are the same and some clinical trials pose only a minimal additional risk in relation to safety and data integrity. The advantages to adopting this approach are potential reduced costs and better utilisation of resources - for example reducing on-site monitoring, not duplicating documents and following processes that are covered by normal clinical practice. Risk adaption also allows for a shift in focus onto the reliability of results, rather than the correctness of individual data points so that resources are better utilised elsewhere. What is important, is that quality is maintained - building risk-based quality management into an organisations quality system - that is at the system level as well as at a trial level, is key to achieving this. In summary, implementing risk adapted approaches should lead to less burden on the trials team but also at the same time retaining quality and focussing on the accuracy of trial results. Practical ways in which the MHRA has taken the lead with the risk proportionate approach was with the introduction of the Notification Scheme for Type A trials in 2011. Eligible trials are those in which the investigational medicinal products are licensed in any EU Member State and they relate to the licensed range of indications, dosage and form or, they involve off-label use if this off-label use is established practice and supported by sufficient published evidence and/or guidelines. There are a number of advantages of this scheme to Sponsors which are that it is a ‘tell and do’ approach (unless we contact you with any concerns within 14 days) and, there is no fee. The MHRA have approved 249 Notification Scheme Applications since its introduction. Thirty-one Notification Scheme Applications were received by the MHRA in the 2016/17 financial year (roughly 3% of the total number of CTAs received were notification scheme applications), and ¾ of these were approved under the scheme. We would like to encourage more Sponsors to use this scheme as, currently only a small proportion of those eligible actually use it. There is nothing to lose by sending in your Type A application as a notification if you believe it to be eligible – if it turns out the trial isn’t eligible it will simply go down the standard route of assessment for a marketed product with no loss of time (i.e. day 0 will still be the date you first applied). If you are unsure on what to do you can always ask beforehand. 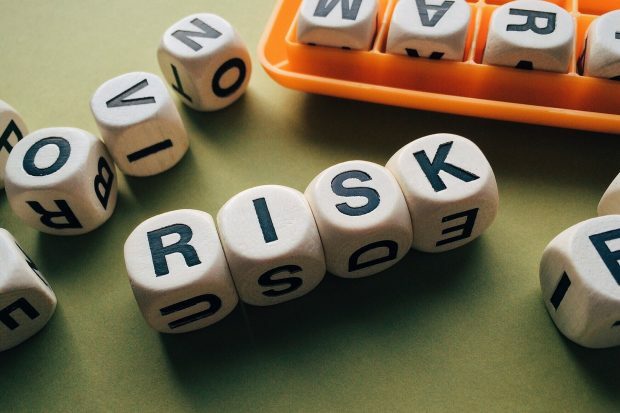 To encourage the trials community to use risk adaption, we have collaborated with stakeholders who have practical experience of applying a risk adaptive approach to their trials, and there are published examples of real-life risk assessments on the MHRA GCP Forum. The 1st of these includes simple strategies to deal with overall safety aspects, the 2nd is a risk assessment of the IMP and development of a safety monitoring plan, and the 3rd is a bespoke trial risk assessment to be used to create a trial monitoring plan. We would encourage you to look at these examples, as the Sponsors have taken a simple but pragmatic approach with respect to the development of risk assessments and how risk is mitigated. The process of developing the risk assessment, allows for the identification of higher risk areas that can be mitigated and lower risk areas that can be adapted and simplified. The risk assessment can cover risk based design and management of the trial, so not just monitoring, therefore it is best to start it early, in order to involve staff with the right expertise. In conjunction with the publication of various papers and guidance documents on risk proportionate approaches (see background to Risk Adaption), the MHRA has also published FAQs on risk assessment on the GCP Forum webpages. An area where risk adaption can readily be applied is monitoring and the MHRA again encourages a proportionate approach to this area. A flexible and varied approach allows the extent and nature of monitoring to improve its effectiveness and efficiency. Essentially monitoring is more than just checking whether data have been properly transcribed to the CRF - there are other wider issues to look at in relation to compliance and to providing support to the investigator - monitors are often under time constraints so need to be able to concentrate efforts on critical matters and preventing likely sources of error as identified in the risk assessment. This adaptive approach directs the focus and activities to the evolving areas of greatest needs to ensure patient safety and the quality of the data but also satisfy applicable legislative requirements. We have seen examples where resource is scarce, remote monitoring can be applied effectively by use of phone calls to sites to obtain status updates, documentation such as delegation logs being sent to a centralised unit and in some cases consent review where patients have given explicit consent for their consent forms to be reviewed by a central unit that potentially resides outside the healthcare facility where they enrolled in the trial. This allows checks on who consented/ took consent, versions and dates etc. With the advent of electronic CRFs (eCRFs) and their increasing use within trials, activities such as centralised monitoring can be used to good effect. Examples seen include AE reports run from the electronic database across a number of sites which then allows targeted monitoring of sites where AE reporting is unexpectedly low or high. Query resolution time can also be used as a trigger to target monitoring activities. More formal trending and statistical monitoring can be used to identify unusual or extraordinary patterns in data (potential fraud, data fabrication) e.g. sites that are outliers with respect to withdrawals, eligibility violations etc. The MHRA has produced a number of FAQs on monitoring on our Forum as well as an example of a risk assessment (example 3, Appendix 2). In addition, we have an example of central (remote) and statistical monitoring methodologies. With the new Clinical Trial Regulation expected to be implemented in 2019, a number of guidance documents have been developed in relation to this; including ‘Risk proportionate approaches in clinical trials’. Additionally, the updated ICH guidance, ICH E6 (R2) Good Clinical Practice, now includes the risk proportionate approach. The MHRA GCP inspectorate were very much involved in the drafting and finalisation of the ‘Risk proportionate approaches in clinical trials’ document and throughout the process were mindful of the need to be pragmatic in our approach to providing practical guidance. This guidance is primarily aimed at low intervention trials but the approach could be used for other trials. Different, proportionate approaches can be taken with regard to the way in which a clinical trial is designed, conducted, evaluated and reported, depending on a number of factors that may affect the risk posed to a subject and/or trial integrity. This could include the status/ nature of the IMP, the indication, the trial population in which it is to be used, the extent of difference of the trial-related intervention from normal clinical practice, the complexity of the protocol, and the specific operational aspects of the planned clinical trial or the clinical development project. Safety reporting in relation to the safety profile of the IMP and the reliability of safety information - e.g. not submitting all SAE reports immediately to the Sponsor; IMP management with respect to traceability and accountability - e.g. applying normal prescribing practice and associated documentation; Trial management with respect to monitoring - e.g. centralised monitoring of pre-defined operational metrics critical to quality; and trial documentation in relation to the content of the Trial Master File (TMF) - e.g. an absence of documents as a result of implementation of other risk proportionate measures such as the Investigator Brochure when the Summary of Product Characteristics is being used instead or the combining of documents whereby one document serves multiple purposes (e.g. screening logs and recruitment logs, signature and delegation logs). In addition, the guidance stresses the importance of risk based quality management which should be applied at both a system level as well as a trial level. During an inspection, we would like to see that a documented risk assessment has been put in place, before the trial started, and that it was clear who was involved in putting the risk assessment together. In addition, we would like to see what tools/processes are being used to mitigate the risks that have been identified (or you may choose not to mitigate the risk as it has been deemed to be so low), and how risk is evaluated and measured. We would also like to see how the risk assessment is being reviewed on an ongoing basis e.g. in response to an amendment, and how the risk assessment is communicated to all involved parties. A trial comparing a standard of care treatment used within its indication against a licensed drug which was being used outside its indication. Both were classed as Investigational Medicinal Products (IMPs) in the CTA, but only one IMP had a drug accountability record (the licensed drug being used outside its indication). On discussion with the trials team, a decision had been made not to keep drug accountability records for the standard of care product as it was used from stock and could be tracked back if needed, but there was no documentation available to show this decision process nor who was involved. The lack of drug accountability records for the standard of care treatment would have been acceptable, if it had been documented in the risk assessment. Another trial involved a licensed IMP which was a controlled drug (CD). The trials team made the decision not to use a separate drug accountability log, but to use the CD log, in order to ensure traceability of the IMP. This adaption would have been acceptable but there was no documented risk assessment nor any indication in the site file of how the IMP accountability was being managed. Because the IMP accountability was documented via the CD log it would also have been useful to include in a risk assessment archiving of trial documentation taking into consideration how the IMP was being tracked. Systems such as electronic health records (eHR) which are used to document IMP administration may also need to be risk assessed. An example was seen where patients enrolled in a double-blind trial kept their IMP, which travelled with them throughout their journey in the hospital and this was described in the protocol. Although the eHR recorded the IMP/placebo, it did not record the kit numbers of the IMP. There were patients that were on wards at the same time during the trial where there was potential for a mix up in the administration of kit numbers and therefore the possibility that patients could be given the incorrect IMP. In this case a risk assessment was performed at the start of the trial but did not identify the potential risk with respect to recording kits numbers in the eHR. The examples described above relate to IMP management but could be extrapolated to other areas where risk adaption could be applied. Where formalised risk assessments and mitigation plans have been put in place prior to the trial starting and these are followed, inspection findings would not be given for adaptions of the legislation as described in this blog, assuming it is clear from the documentation that less stringent rules have been applied based on the pre-trial risk assessment. As an agency, in the spirit of promoting risk adaptive approach, we are also willing to discuss and review innovative protocol designs. We encourage Sponsors to discuss their applications with us prior to submitting the protocol and CTA for approval. Last but not least, we want to give our support and understanding to our stakeholders in initiating new ways of working and acknowledge that this may involve a culture change within your organisation but would encourage you to use risk adaption as the benefits for researchers and for patients are that oversight is focussed on critical issues affecting patient safety and not, for example concentrated on activities such as 100% source data verification.